I wanted to level up my UX skills, and after some research HackerYou stood out as the best option on the market. After completing both courses, I can confirm that the program lives up to it's reputation. What you will take out of the course really depends on the level that you come in at, and what you want out of it. As a designer looking to specialize in UX, I really appreciated the opportunities to apply the concepts from the course in my everyday work, and I felt that I was able to rocket my career ahead a couple of steps with the deeper perspectives and new frameworks that I was exposed to. I highly recommend this course for anyone new to UX specifically or looking to expand on their design skills in a human centered design direction. I was fairly familiar with HTML from about 8 years ago before this course. I decided to sign up for their Accelerated Intro to Web Development Fundamentals/Advanced because I figured a course would really help brush me up and I am also very interested in participating in the Hackeryou Full-time Immersive course (bootcamp). Structure: The course is sectioned into Fundamentals and Advanced Fundamentals. Each is four days, 10am-6pm with support and mentoring on Fridays and over the weekends. Class is short lectures that feature code-alongs mixed with short bouts of independent or team-work. It is hard to ever feel left behind as their was a very good balance of 3 instructors to about 22 students. There was always time to ask questions before or after class or in Slack or you could simply look over your digital notes which you have permanent access too. Great mentorship I met so many nice alumni! Overall: I had a great time and learned a lot. It was a great introduction to the community of HackerYou and a nice way to see if you are the type of person that can handle an immersive course. It was only two weeks of 10-6 but you are learning something nearly every hour of each day and putting it into practise. I definitely feel more confident in my Web Development skills and feel like I accomplished something great. I was familiar with web1.0–era HTML and wanted to introduce myself to the fundamentals of HTML and CSS so that I can make simple websites (landing sites; blogs; marketing sites). This course offered a novel structure that appealed to me: an intensive, full-time, two-week dive into front-end web development. Although it times it felt like drinking from a fire hose, the course was well structured. The teachers are uniformly engaging and the learning style—short "lectures" interspersed with longer code-alongs and independent work—suits the material well. It's a surprisingly fun environment for eight-hour days spent at your computer. 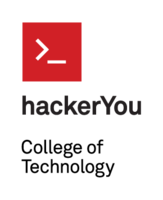 HackerYou gives its students plenty of support, with before- and after-hours mentoring sessions; permanent access to the robust course notes; and, through Slack, access to the broader community of teachers and alumni. One note of caution: this is a very time-intensive one-week course (or two-week course, if you pair it with the Advanced section). If you have the support of family members or your time is otherwise unencumbered, this is a remarkably quick and thorough way to get yourself up to speed on the best practices in web-development. If you do not have this, you might consider the part-time web-development course instead. I have a small child at home, as well as freelance work in another field. Therefore I found it difficult to review the material nightly, which, given how much you learn each day, is very important. I am just completing the course now, and trust that time and practice—as well as occasionally asking for support from the HY community—will ensure that everything I learned truly sinks in. It was a challenging course but well taught. The teacher was nice and accommodating, as were the mentors, and all were very knowledgeable. Be sure sure to ask any and every questions you might have and try not to miss any classes as it’s easy to fall behind. Classes were in a nice space that wasn’t too difficult to get to…if you don’t mind the streetcar. Overall a great experience that I would highly recommend. This was my second part time course with HackerYou and can't tell enough what a valuable experience it was. The instructor and the mentors are super supportive and patient with the students. I’ve always had an interest in web-development but I wanted to make sure it was a good fit before committing to making a career change, so I enrolled in the Spring 2018 Intro to Web Dev course. I chose HackerYou after reading many positive reviews, specifically on Reddit and Course Report, of their supportive community and their dedicated instructors. Truthfully, before I took the part-time course, I definitely debated how beneficial taking this course would be; if web development was something I could have taught myself— yes, but it probably would not have gone as smoothly. And now that I’ve completed the part-time course, I can confidently say I would’ve make the same decision if I had to do it again. The course is very well-structured, and the instructor and mentors make the course material clear and easy to understand. I’ve learned far more than I could’ve taught myself in the same amount of time, and in a very organized way. The projects assigned allow you to challenge yourself by applying the material you learn throughout the course. I would recommend this course to anyone’s who’s interested in web development. It was very rewarding and I cannot wait to see what the full-time bootcamp has to offer! I went into HackerYou not knowing what it was going to be like. As a complete newbie to the web development, I learned more than I can imagine. I tried learning online on my own but like most people, it just wasn't fun and enjoying. Now I have just finished the Part-Time Web Development Course and I don't regret it one bit. I met new friends and learned HTML5/CSS3/JQUERY at a high level. The instructor and mentors were amazing and I couldn't have done it without their help. One thing I could mention is that I wish we had more outside the box assignments such as the flip-card. I really enjoyed the level of difficulty on those. I have completed the part-time Web Development course - Spring 2018, and it is fantastic. I started with an online course, but didn't find that I was getting what I wanted out of it - not my style of learning. So I went looking for a classroom-instructed course and a graduate of the HackerYou bootcamp convinced me this was the place. As a female making a move into the tech realm, I have found HackerYou to be an inclusive and supportive environment. I never feel like there's a stupid question, and the extra support is always right there. I like that there is an instructor with two back-up instructors in every class, so someone is ready to jump in to offer extra help whenever needed. For the three projects, the degree of complexity increases at a good pace. They also have a wide enough scope that I was able to incorporate a wide range of the course curriculum. The volume of what I've learned over the past couple months is far more than I expected. I am excited to be a part of the HackerYou bootcamp this summer - I would not have been accepted without this course. I moved to Toronto on 4th of April and started with my Web Dev course on the very same day! I had applied for the Spring bootcamp and did not clear the tech test and was recommended the part time Web Dev course, i feel it was the right recommendation because it seems like a good introductory step towards everyone who has interest in joining the bootcamp. It was the best decision i made for myself for a career in web development. The instructor and the mentors are very supportive and patient with the students. Even with prior experience with HTML and CSS i got to learn so many new things and felt comfortable with the course from the very first week. I am very confident in developing my own sites now! The course structure is great with all the latest industry standards being followed and the teaching approach is fab ! The overall experience is really valuable and it feels great to be a part of this awesome HackerYou community. I recommend everyone looking for a career in web development to enroll for this cource. Looking forward to apply for the Fall Bootcamp ! I am just finishing up the Part-Time Web Dev course at HackerYou and I have loved my experience. I originally started looking at HackerYou for their Web Development Bootcamp. Before applying, I heard it was tough to get into the Bootcamp without taking the Part-Time Web Dev course. Even so, I applied with only some quick 2-week self-taught coding knowledge. I didn't pass the tech challenge but was invited to join the part-time course. Bootcamp - Best decision you'll make! I started off with the part-time Intro and Advanced Web Development courses before being accepted into the Bootcamp this past January. I was nervous about starting out because, prior to the part-time intro courses I had almost zero experience with coding. That didn't matter. The people at HackerYou, from instructors to administration staff to the incredible CEO, create such a wonderfully supportive environment for you to learn in. The instructor to student ratio is excellent, there are, at most, 12 students to every instructor and when things got real intense there was always more help available for me and everyone else. You have 3 teachers, a bootcamp buddy and a number of after hours "fishbowl" sessions for you to squeeze for every ounce of knowledge and help you need. Everybody there understands people learn at different speeds and in different ways. Everybody there cares about you and wants you to succeed. I've never been to a school that gave a crap about me until I went to HackerYou. The assistance they provide during your job hunt is unparalleled. There are weekly group meetings with the CEO Heather, alumni job posting boards, cover letter approvals. Any time I had a question during my job hunt, even if it was just a "Does this email sound good to you? ", I could bring it to Heather and she would happily give me some advice. After one month of job hunting you can book one on ones with her for more focussed help. In the first month following our graduation a third of our cohort had accepted offers. I started working 6 weeks after graduation. Before this I worked for years as a printing press operator at a company that didn't care about me. Now I have a great job working less hours and making more money. This place works, they know what they are doing and you will love it. I've taken several courses at HackerYou and the part time UX Design course was another (of many) great experiences. The class was led by Ricardo, and there were always an additional two mentors on hand to help answer any questions I had. The content was fantastic, I learned a lot during both the Intro and Advanced courses. The final project for the Intro was a UI design for an app (using Sketch). For the second half I completed a complex case study following UX research methods. I look forward to adding both projects to my portfolio. I work as a web developer and this course was a huge benefit to my skill set. I was able to bring so many of the learnings back to my team, and we’ve already started integrating them in our work. The environment at HackerYou is incredibly friendly, professional, and supportive. I was able to get really valuable feedback from the instructor and mentors throughout the course. They talked through design problems with me, and drastically improved my understanding of UX/UI. The students in my class were all eager to be there, and had a variety of skills and experience to bring to the table. Overall I had lots of laughs and left with a ton more experience. Whenever I mention my education at HackerYou to folks in the design/tech industry, I’m always met with recognition and a positive response. The school has made an incredible mark on the Toronto tech industry, and it’s graduates are working all over the city. HackerYou is a wonderful network to be a part of and it’s reputation is fantastic for a reason. It has propelled my career forward and I’m so glad with my decision to study there. I’m a front-end web developer (thanks to HackerYou bootcamp) and I work for a software company. I’ve got a background in design, and I knew I wanted to follow up my bootcamp experience with the HackerYou intro and advanced UX class with a plan to leverage more design opportunities in my current role. Because I took both the part-time web development class and the bootcamp at HackerYou, they were already my top pick. I knew how the school structured their classes and that I would have access to great resources during the 12 weeks of the course. I checked out other UX programs in the city and online, but none of them offered the kind of learning and support that I knew I would get at HackerYou. The class schedule was perfect. I work uptown and have a really hard time getting to weeknight classes, so committing to UX every Saturday was ideal. Even though class was only once a week, I had access to Ricardo, the lead instructor, and the two class mentors, Jas and Jen, throughout the week. They were available for extra help and to run through project ideas exactly when I needed them. Ricardo has an abundance of enthusiasm (an essential quality for teaching a Saturday class) and experience. I found it very easy to learn because he integrated real-world examples with textbook theory and in-class exercises that helped me wrap my head around some tricky material. He taught masters-level UX concepts in a way that felt more like fun than learning, and when I was at home working on assignments I was surprised at how much material stuck in my head. I was hoping for a class that gave me foundational UX design principles as well as the knowledge and skill to put together comprehensive case studies, and I finished the 12 weeks feeling confident and excited about what I had learned and how I could apply it. In the time since UX class finished, I’ve been able to expand my job description to include extensive collaboration with the design and UX team. I’ve got more opportunities in my current role and more appreciation for the work that my colleagues put into designing applications. If you’re looking for someone who will only teach you how to make pretty things, this might not be the best course for you. But if you want to learn how to use qualitative and quantitative research to solve problems with beautiful design, then you’ve hit the jackpot with this class. I was a student in the Winter 2018 UX Design Class. What really stood out to me about HackerYou is the sense of community, and the extremely caring and knowledgeable instructors. My instructors are some of the most passionate people I have ever met, which made class a very enjoyable experience. I found that in taking this course, I was able to create a portfolio of work that also speaks to the design process, not just the final design. I think that having a design process is very important when speaking to potential employers, because they want to know how you think as a designer. The curriculum for the UX Design class was very comprehensive, and I especially enjoyed delving into the idea of wicked problems, divergence, and convergence. Throughout my classes I felt very supported by mentors and instructors, who encouraged us to ask questions and seek help. This course left me feeling extremely inspired and wanting to dig further into the idea of Service Design. I really think HackerYou’s UX course is unique in its focus on human-centered design, and not just focusing on the creation of wire-frames. HackerYou teaches you to study the problem from all angles in order to create a solution that benefits the people you are actually designing for. Completing the part-time web development course at HackerYou has been one of the most positive and self-motivating experiences I've had. I have not only learned new valuable skills, but I've also pushed myself to learn things I once thought were out of my comfort zone and loved it. All of the staff are incredibly friendly, approachable and knowledgeable and always took the time to answer everyones questions with enthusiasm. I was set on taking the boot camp before taking the part-time course, and I'm still firmly acting on that decision, as I don't want my experience at HackerYou to end at this point. Nothing but great things to say! Absolutely loved this course, was super fun. Community is great, teachers and leads always there to help you when you need it. If you interested in learning a new skill or thinking of a career change, wound highly reccomend this course. I just completed a 12-week Part-Time Web Development program at HackerYou, and can say without a doubt that it was the most enriching learning experience of my life thus far. From the moment I walked through the door for my tour of the campus, I've been greeted with a smile, and that feeling of welcomeness has been a common theme during my experience at HackerYou. My instructor, Kristen, and the mentoring made class a very fun and interactive learning experience and I looked forward to every class, which is saying lot for me since I've generally been disinterested and would lose focus with more traditional learning styles. I had no previous background in web development, and the facilitators are very patient and understanding in helping you learn each new concept. However, as many people before me have mentioned, the big highlight for me has been the sense of community that HackerYou instilled from Day 1. I am looking forward to continuing the learning journey with the new friends I've made at the Bootcamp and beyond, and I feel that the Part-Time program has instilled the skills necessary to apply for the Bootcamp and succeed. In recap, don't hesitate to learn at HackerYou if you have any interest in Web Development. You won't regret it. Great place to study for a front-end web development! The best thing about this school is teachers and program that really helps you understand and implement all knowledge's in future projects. As a HackerYou bootcamp grad (in 2014), looking into the school's other programs when I wanted to level up my skills was a no brainer. HackerYou has always stood out to me for its incredibly supportive learning environment and this course was no different. From the staff who helped me determine if the class was a right fit for me to the excellent instructor and mentors who not only taught in an engaging and accessible way, but also provided valuable one-on-one time to work through problems and challenges specific to our projects. What really drew me to this course in particular was the curriculum. The course teaches technologies that are both current and well-used throughout the industry while presenting each part of the tech stack in a way I found extremely logical. On a personal level, they are also technologies that we are using more and more in my workplace. Being able to apply new skills to work projects right away is a great motivator when learning new things in the tech industry. I would highly recommend HackerYou in general and this course in particular to anyone interested in learning about web development. I am just finishing up the part-time Web Development and I had such a positive experience. I came to HackerYou with essentially no coding experience and I know feel like I have been given a tiny key that basically unlocks the internet! The instructor Jazzmin VanGeel was an excellent source of information and real world experience from the world of web dev. She was patient and took the time to try and answer every single question. The teaching assistants Melissa and Jaime were also super supportive and ready to help every step of the way. The lessons are easy to understand and the class is packed with resources that I intend to keep practicing with on my own, even after the class is done. I am finishing up the Part-time Web-development course at HackerYou (2018). It's really great experience to learn web development at HackerYou. The instructor Jazz is awesome to explain event hard concepts, always with some humours. I also love the way they run the classes: great materials, mentors are super helpful and using tool like basecamp & slack. All together it becomes one of my best learning experience. Highly recommended. Cheers! I just completed the Part-time Web-development course at HackerYou (2018). I thoroughly enjoyed the classes and learnt so much about web-development and coding in these few months than I did in my 3 years of college studying computer science! Jazz is an amazing instructor! She explains even the hardest concept with ease and in detail. And, it also helps that all the instructors are so knowledgeable, energetic and positive! Once you enter the class you know that you will be learning something exciting. Thank you Jazz, Melissa, and Jamie for all your help and patience!